Four Way Books, 9781935536659, 84pp. 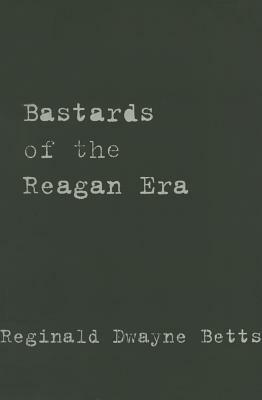 Bastards of the Reagan Era is a challenge, confronting realities that frame an America often made invisible. Within these poems, we see the city as distant lover, we hear “the sound that comes from all / the hurt & want that leads a man to turn his back to the world.” We see that and we see each reason why we return to what pains us. REGINALD DWAYNE BETTS’S Shahid Reads His Own Palm won the Beatrice Hawley Award. His memoir, A Question of Freedom: A Memoir of Learning, Survival, and Coming of Age in Prison, received the 2010 NAACP Image Award for nonfiction. He is a Yale Law student.